mwe3: When did you start performing and writing music and when did you start your recording career? Oliver Rüsing: I started playing guitar when I was 10. One year later, I borrowed my first drum kit from my schools music inventory to join the school band as a drummer. That was the time when we wrote our first songs - Motörhead style!. For whatever reason, I had always been responsible for writing lyrics as well. The first album I produced completely on my own was called Waterfront. All recordings were done using a simple four-track machine and some weird overdubbing techniques. That's how I started back in 1989, and I remember it was really fun. 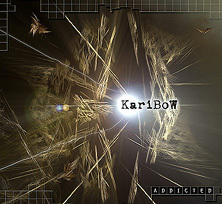 mwe3: I know you play most of the Addicted album yourself but tell us about the KariBow Live Project. 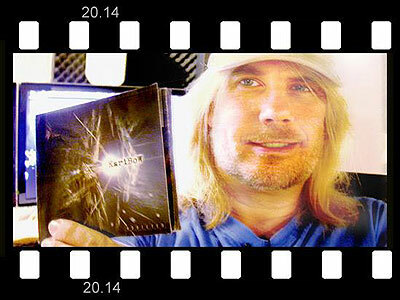 Who are the key members of KariBow and who else do you credit for helping you get such a good sound on the CD? 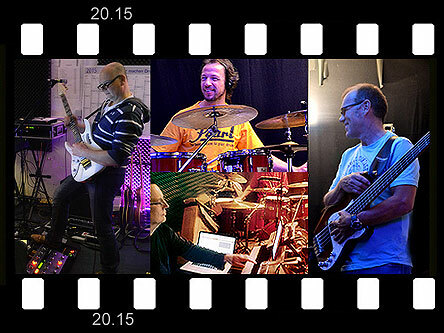 Oliver Rüsing: Karibow is a five piece band and it consists of Markus Bergen (keys), Gerald Nahrgang (drums), Chris Thomas (guitars), Thomas Wischt (bass) and myself (vocals, guitars). These guys are skilled and ambitious musicians, and they are good friends at the same time. You're right about my key role in writing and producing, but the band does also have an impact on what Karibow sounds like on stage because everyone of us feels responsible for the live arrangements. Talking about the overall sound of the CD, the positive feedback has indeed been overwhelming. Last Sunday for example I met Michael Sadler and we talked about the album. He thinks it sounds excellent and hearing him saying that made me feel deeply honored. I am a person who likes to get very much into details with almost everything, and that may be noticeable in the mixes as well, especially when it comes to separating frequencies and arranging instruments within the stereo spectrum. But its boon and bane, and you have to learn where to stop and finish your work. The mastering job was done in cooperation with Eroc, who was a member of the band Grobschnitt in the 1970s. Today, hes pretty famous for his mastering skills. Nevertheless, Addicted was a real challenge because of its complex arrangements. Eroc called it a Diva because it took us about a month to manage it. He appreciated my elegant mixes (in his words), but I think he was the one who gave the album the right punch. mwe3: How did you come up with the name KariBow and why do you call the CD Addicted? Is that the right way to spell it with a capital K and capital B? Oliver Rüsing: In 1995, I was trying to find a unique name for the new project I was making plans for. A friend of mine had just spent his holidays in Tanzania and he came back telling me that the people over there would use the word karibu synonymously with hello. I liked the sound of it, but since I did not want to be mistaken for a moose-like animal, I had to slightly modify it. At that time I was also pretty much into role playing games, almost always exploring virtual worlds as a ranger, carrying a bow. So I made up a new word that included both carry a bow as well as Karibu. That's the whole story behind Karibow. The album title originates from a song named Addicted. It was supposed to be the title track and it's funny that the song itself didn't make it onto the album. There's a line in it that goes The shape of the wind and the moving water, I'm addicted to it all. It's that kind of addiction. It's the addiction to life and to the beauty of it. I am not quite sure about it yet, but it actually underlines the story behind the name. Some reviewers adapted the capital letter from the album cover but, to be honest, I never intended it could become a logo because the design of the band name had changed several times over the years. Briefly, I am not sure if we will keep the capital B, but to everybody who wants to use it: Feel free and we'll make it a democratic choice! mwe3: Change is a great way to start off the Addicted CD. Kind of reminds me of 1980s YES. Its a good introduction to the power of your music. Is that one of the most powerful songs you do live? Oliver Rüsing: Well, 90125 (1983) and Big Generator (1987) were indeed my first YES albums and I am sure they strongly influenced my understanding of music. Change is our favorite opener for live gigs because of its combination of power and catchy melodies. It easily breaks the ice. Oliver Rüsing: Primeval is an impassioned plea to our understanding of what it means to be human. For me personally, being human means feeling responsible because responsibility is the natural counterpart of intelligence and the gift of mind. The word primeval refers to the human conflict between development and regression. We start as little babies and 80 years later many of us will end up old, experienced and washed-out. Lifes very exciting but its indeed a stormy ride. From my personal point of view, the time that's left in between is very precious and we should use it to make this world a better place than it was before we were born. mwe3: On Liquid Terrain is another driving rocker. Your music is very futuristic. I like the line A life on a high wire... the duality of mankind, ending up on liquid terrain. Oliver Rüsing: Well, life is not safe at all. Everyone will die, no doubt about it. It's natural. But On Liquid Terrain has a lot to do with the insecurity of relationships as well. Everything in life is constantly changing and it's all about temporary states of balance. Therefore, nothing in this world can last forever. If you are aware of it, it feels like you're moving on liquid terrain. I am thankful for every day that makes me keep the balance. Life is a fragile beauty. mwe3: The fourth track on Addicted , Believe would make a great single track. Seems like another duality song. Its like we just cant win sometimes. Its like mass consciousness controls all. Oliver Rüsing: Exactly. But on the other hand, the magic that surrounds us and the overwhelming beauty in every detail of our world makes it hard to draw a clear distinction between what is real and what is not. I think the idea of being real is only a state of mind. On the other hand, it's that state of intoxication that gives us a beautiful feeling of home, just like the magic of a groovy song like Believe. So start dancing and believe in the flow! mwe3: Track 5 Home Of Cain sounds biblical. Oliver Rüsing: Well, I used the image of Cain because the story of Cain and Abel addresses the meaning of envy, jealousy and greed. I think we are all living together in a home of Cain in a certain way, even inside ourselves. I wish it was different and I hope that some day it will be. 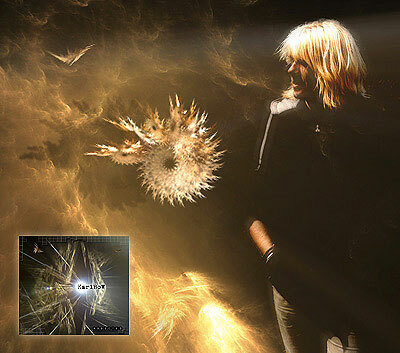 Oliver Rüsing: Yes, it's a song about being caught in a golden cage. The wish for a new star in your life can be very helpful sometimes, especially when your emotional condition is very unstable. mwe3: Track seven on Addicted Shine On is a very upbeat. Must be a good number to play live. 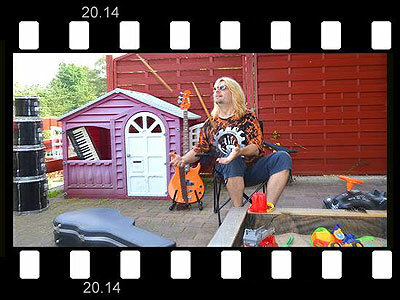 Oliver Rüsing: Shine on is a song for the children in general. If they don't shine, nothing ever will. What also makes it a great live song is the fact that you can easily sing along with the chorus, which is always good for interaction with the audience. Oliver Rüsing: Symbolically, yes. You can also find this unity in the arrangement which is bringing order to various musical components. The backbone of the song is the bass line which is pretty complicated but constant. Collaborator is intricate stuff with several world instruments, layers and time changes. The line you mentioned reminds us to be farseeing and sane. mwe3: Track 9 The Cry is, in my opinion, the centerpiece of the Addicted album. Is that the single radio edit version of the track? Oliver Rüsing: Yes, it is. I cut it down to 4:32 to make it suitable for airplay with bigger mainstream radio stations. There is a longer version of The Cry and it will be available as a download from our web shop later this year. 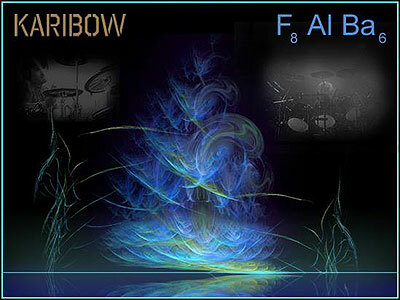 mwe3: F8 Al Ba6, track ten, is instrumental jazz fusion. Sounds like you enjoyed making that track. Is it challenging to be a one man orchestra? Is there a specific sound you were going for on that track and how did you come up with the track name? Oliver Rüsing: The name of the track looks like a chemical formula and it's pronounced Fatal Basics, which refers to our basic conditions. To some people it may describe the condition of their nerve ends when they listen to the song... yes, it's challenging - and playing it with the band is even more challenging because you have to deal with the slightly different individual micro-timings. The whole orchestra thing is a lot easier when I do it alone. Since I'm the person I'm spending most of my time with, I am pretty much used to my own feel. And that's very helpful, particularly with regard to complicated breaks and synchronicity. Nevertheless, a track like F8 Al Ba6 is always an opportunity to push the envelope and the sound of it is simply the result of a creative and experimental approach to all kinds of communication between the instruments. You know, I want to be entertained by my music when I'm writing, playing and listening... and to me, F8 Al Ba6 never gets boring. mwe3: Track eleven Spark is a low key track. Is that like an interlude track? Sort of like the spark of life. A song of hope. Oliver Rüsing: "Spark" is about the process of coming into this world. For me as a Buddhist, life or - to be exact - returning to life starts with the lust for life which is a main form of greed. It's this tiny but powerful spark that keeps the wheel turning. mwe3: Is track 12 , Place To Be a wake up call? I was thinking it sounded like a later period BeeGees song. 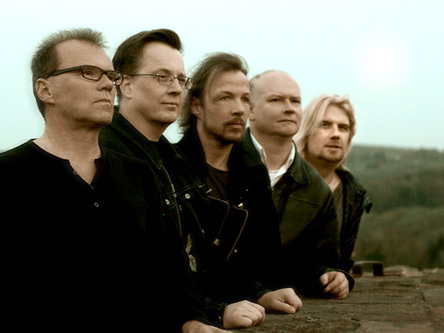 Oliver Rüsing: Maybe its the high background vocals that remind you of the Gibbs. For a passionate dreamer like me, it's sometimes hard to wake up to the reality of society and still hold on to my ideals. If you are not willing to give them up, not by any means, it's almost inevitable that you're constantly trying to find your right place to be. I have been a seeker all my life and I am sure that won't ever change. By the way, we all love the song for its strange time changes in the keyboard/guitar solo part. Oliver Rüsing: It's a song about a lopsided relationship. The plains are the old emotional battle grounds that become most violent when you recall the things that happened during all those fights. "TVP" is a song about scars and regrets, but there's also a lot of hope in it. It's not easy to dance and fight at the same time, so if you have a choice, you better dance! mwe3: Track 14 Always There is a great ethereal rocker with a definite pop edge. It kind of reminded me of The Zombies! Very sparse but very effective. Is this track a kind of different direction for you? 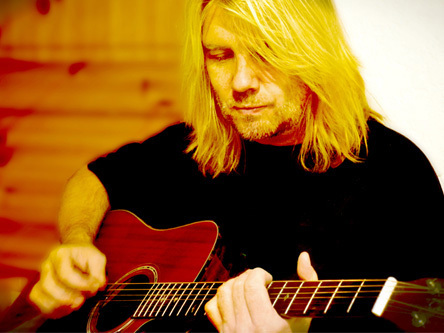 Oliver Rüsing: Always There was originally written for an unplugged album. That's why the instrumentation is different. It can be performed with only an acoustic guitar. A musical piece full of trust. mwe3: Is Something is another hopeful, kind of reaching out type of song? Oliver Rüsing: Even if you live your life thinking a lot about the things you do and everything you're involved in, there are certain situations when you need somebody else to convince you that it's okay to be right here, right now. It's both a call and a plea for friendship and hope. Very much reaching out and powerful. It was one of the first songs I wrote for Addicted. mwe3: 9/16 is another interesting title. A very heavy metal type track with multiple time signatures. Is that one of the most complicated KariBow tracks? How many different time signatures are in that song? Anyway its a great album closer. Oliver Rüsing: For me, 9/16 is the most intense track on the album. I haven't even counted the time signature changes but in a way they illustrate the hairball of emotions behind the song. I dedicated it to my father who died on 16 September 2001, five days after 9/11. In my memory, both incidents are connected in a rather dramatic way, and you can hear that in the vocals. 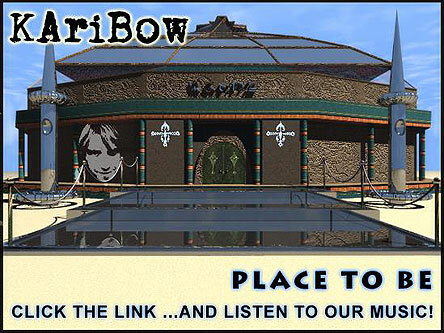 mwe3: It seems like youre reaching out to a world wide market for the KariBow Addicted album. How are you going to spread the word world wide about your music? Oliver Rüsing: For example, by doing interviews like this or by getting in contact with all different kinds of multipliers in general. Positive media feedback is very helpful but we are also getting lots of positive comments from other musicians, which is always very good for your reputation within the community. I mentioned Michael Sadler before... Using the internet is a good way to get yourself noticed. We've been putting great effort in building up a fanbase on social networks like Facebook, YouTube etc. and those contacts provided access to radio stations and airplay all around the world. When I signed my first record deal together with my former band back in 1992, it was hard to make our album available outside of Germany. Today, Addicted can be purchased from Amazon Japan, and it did not even take a big record company to make it possible. That's improvement! But still it's not easy to get over a certain level without meeting the right people at the right time, constantly expanding contacts and helping hands. mwe3: What other plans do you have for 2015 and into 2016? Less than 5 years left till 2020! I guess the future is upon us. Oliver Rüsing: Well, you may be right! So let's try and lead a responsible and  I'm using Jim Gilmour's words - glamorous life before 2020! But seriously, there will be more Karibow live gigs this year as well as in 2016 and we'll probably play some festivals as well. And there will definitely be a brand new album coming in winter 2015/2016 or even a little earlier. One thing I can promise is that you will most likely find some well-known names in the credits. Look forward to it!